Just seeing these Pro Treks. Have you had a chance to check them out? I have been considering an analog G-Shock or Pro Trek for a while. These two are quite nice! 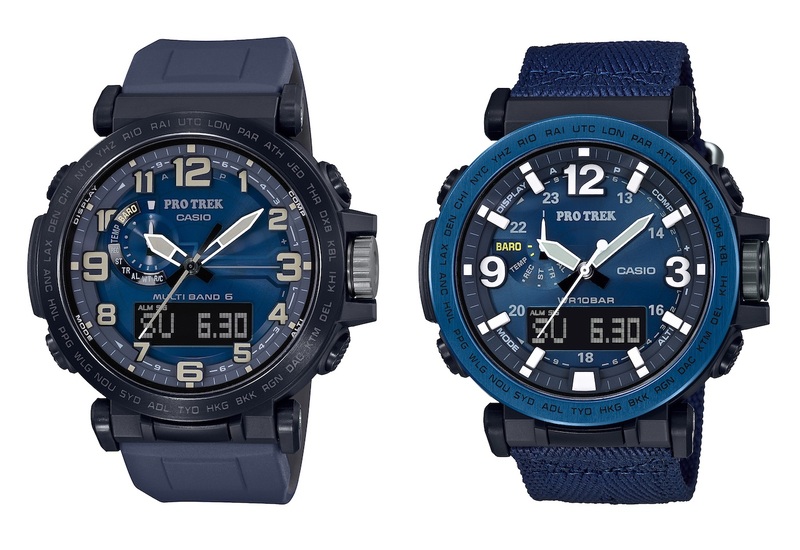 I think there is a lot of band for the buck with G-Shock and Pro Trek. making such a terrific point about the bang for the buck thing ! and impossible to think of something else that can compare really. The way Casio is always outdoing themselves just amazes ! 100,000,000 watches made and sold in company history! 36,000,000 GShocks in 35 years? That ain't Sushi Watch Freeks. My 2 fave Gs are the GXW56 and the GW3500bb1. Luckily I own both. Love my G shock if they follow Casio's history of durable watches that are a good value for the money should be awesome. Hey neat Art, honestly don't recall knowing any of that ! It really is unbelievable when you stop, and think about it. like that too. Thanks again for a terrific lesson here !!! I luv me some Swiss, German. or whattever, watches. But my 1st luv is Casio. 1957. Price? $157.00? Boy has their MSRP gone up in 62 years or what? Think there are a ton of people with you Art !